Speeding along in an automobile, you wouldn’t dare think to drive without being adequately insured. 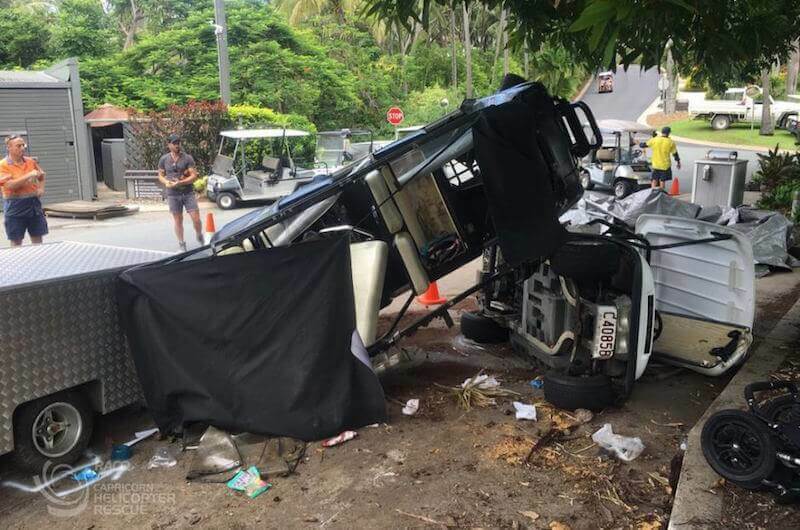 Although golf carts don’t have the horsepower behind them like cars on the highway, they still manage to get into accidents, are subject to theft, and deserve to be appropriately insured. Signing up for golf cart insurance is accessible, affordable, and an investment into your passion for the game and your gear. Once you fully understand what golf cart insurance policies can cover, you want to appraise the value of your golf cart, necessary parts, and be able to determine its most common uses. Some people don’t only use their golf cart for playing at the course. Golf carts cannot be allowed to travel on roadways without insurance. Is It Legally A Requirement? Many states do not have laws requiring that a golf cart is insured, as it is not a vehicle that travels on roads and highways. In the instance that a golf cart is street legal, or there are special permissions where a golf cart can be driven on the street, some form of insurance for liability is required. The age of the driver and other pertinent requirements may be considered too. Driving your golf cart in specific areas, or under particular conditions without having any insurance coverage is illegal. You can purchase or rent a golf cart and insurance is not mandatory. However, uninsured golf carts that incur any damage from an accident, wear-and-tear, or cause any bodily injury or property damage will be the responsibility of the driver to cover out of their finances. If an event involving a golf cart such as physical injury, property damage, or theft occurs, it definitely pays to have signed up for some form of reliable insurance for your golf cart. Although a golf cart travels no more than a maximum of 15 miles per hour, disasters can still manage to happen. A golf cart riding over uneven terrain can topple over, resulting in both passengers and golf equipment ejected from the vehicle. Maintaining proper golf cart insurance that is comprehensive is a necessary precaution. So, if unfortunate events do take place, having your property insured is a stress reliever. Auto insurance and Homeowners insurance is not likely to cover injuries resulting from the use of a golf cart, or for the cart itself. 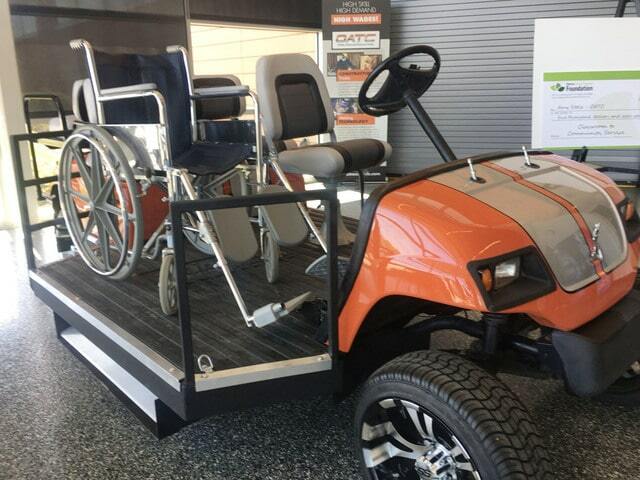 Only street legal golf carts should be allowed on roadways, and insurance is a must-have for such vehicles. 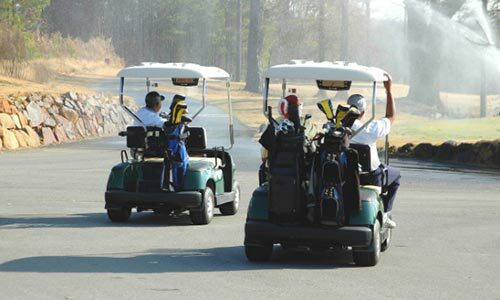 Insurance for golf carts is typically under the umbrella of a motorcycle insurance policy, which also covers vehicles like mopeds, scooters, and other small personal transport vehicles. There are a few significant points that you want to make sure your golf cart insurance covers. A golf cart driver may be the one at fault for an accident and subsequent damages, but guest passengers deserve protection if they sustain any injuries. Sometimes a passenger can sustain more injuries than the driver or golf cart, and medical bills will need to be paid. Insurance for a golf cart needs to cover claims for any person that suffers bodily injury, an accident in itself, and damaged property. There are usually set amounts of coverage in case of a specific incident. Conditions surrounding how a golf cart becomes damaged, which may be beyond the driver’s control, or not resulting from an accident or theft may need specific plans of action. Not all policies consider a golf cart being stolen, or damage caused by severe weather like hail or a brush fire. Insurance coverage for any medical bills that may arise from a golf cart accident is typically optional. You may want not to skip out on a policy option that covers medical bills, as injuries requiring lengthy hospital stays, surgery, or recovery time can quickly become expensive to cover if uninsured. Despite securely stowing away a personal golf cart, utilizing cable locks, and checking on your property often theft and damage can happen. Just in case, it is wise to sign up for comprehensive coverage, which covers loss of property by thieves, or damage caused by a fire, storm, or hail. The average cost to insure a golf cart may range from 400 to 1,000 dollars annually. If a golf cart is going to be used outside the golf course and on roadways, the premium cost will be higher. Not all insurance companies offer insurance for golf carts, because these types of vehicles do not usually travel on the street and interact with vehicles like motorcycles, cars, and trucks. Some shopping around for the right insurance company that meets your coverage needs will take some effort. Keep in mind; golf cart insurance average cost depends on how you use your golf cart, what state you live in, your age, and other factors. After you find the right company in your area that provides the amount of coverage you need, you should inquire about a golf cart insurance quote. An insurance policy for a golf cart should cover a bare minimum of expected outcomes. You also need to be aware of the maximum payouts for various types of claims. If you only drive your golf cart on the course, or within a retirement community, you may be able to select a low-cost policy which could be as little as 12 dollars a month. The speed at which your golf cart can travel and a safe driving record can be used to assess your recurring payments. Make sure your choice of policy gives you the exact coverage you need and for which you are making a payment. If you need insurance for your golf cart in the event of theft, or an act of nature that causes irreparable damage, you want your policy to reflect that. If you need a provider that receives top marks, you might want to choose golf cart insurance state farm for comprehensive coverage. Golf carts can fall into a gray area in the insurance world, especially if certified as street-legal for special events or off-roading. Most insurance companies offer auto insurance, but golf carts are incapable of being covered under that umbrella. State Farm provides coverage for recreational sport and leisure vehicles. Not all companies offer specialty insurance that protects golf carts and other off-road personal vehicles. Golf carts fall under the category of Off-Road Vehicles under State Farm’s insurance policy offerings. When you need to get a golf cart insurance quote, you will want to contact a nearby agent. Speaking to an agent in person is best for selecting the right package to cover your golf cart. An accurate quote will require factoring your location, frequency of your golf cart’s use, and the conditions where you would use the golf cart. The age and make of your model may be a factor, or if replacement parts will be hard to come by. Off-Road Insurance is useful for covering bodily injury caused from an accident while driving your golf cart, or an injury caused by an uninsured rider. Vandalism, theft, and fire are among some of the significant losses, or damage to a golf cart covered. You may not think you’ll ever get into an accident with your golf cart, because you are a responsible and safe driver. Even if you make sure to routinely maintain and protect your cart from theft and wear-and-tear, things can still happen beyond your control. If you allow a friend or family member to drive your cart, you will want specialty insurance. Mother Nature, fires, hurricanes, and other devastating natural events can cause irreparable damage to your golf cart. If you find that your golf cart has been stolen or vandalized, you will feel less stress when you know your property has protection. Unfortunate events where someone has an accident with a sitting golf cart or becomes injured involving your golf cart can lead to litigation or expensive mounting hospital bills. Choosing a company that provides the specific coverage needs required of a recreational vehicle, such as a golf cart is a necessity in today’s modern society. Words and deeds are indeed still valued by some, but when an accident or loss of property takes place, you will need to have legally binding policies in place to back up any claims. Whether you love to play golf on weekends, or annually use your golf cart at special events like festivals, parties, or work meetings, you will need reliable, comprehensive golf cart insurance. Leaving your golf cart up to the whim of fate should not be an option because of frugality or believe in your responsible decision making alone. You need to make reliable protection for your golf cart and passengers a priority. You shouldn’t even consider skipping out on getting golf cart insurance, for your comfort and peace of mind.